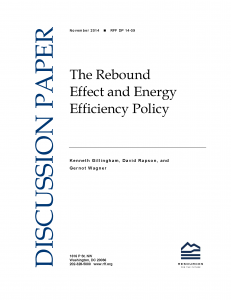 In a new RFF discussion paper, “The Rebound Effect and Energy Efficiency Policy,” we review the literature on the rebound effect, classify the different types, and highlight the need for careful distinction between causal links—which are indeed worthy of the “rebound” label—and mere correlations, which are not. We find, in fact, that measures to improve efficiency, despite potential rebound effects—are likely to improve welfare, generally. Among the key questions about the rebound effect are a) whether the net benefits of energy efficiency increases are positive (for a costless improvement, the answer is almost certainly “yes”), and b) whether the increase in demand for energy services uses so much additional energy that it leads to greater, rather than less, demand for energy itself (the answer is almost certainly “no”). Our findings are clear: while it is possible for rebound effects to be large in some settings, there is no reliable evidence supporting rebound effects so large that improving energy efficiency leads to more energy use. Backfire is theoretically possible, but even the theoretical predictions rely on channels that are either a) second-order in magnitude (and thus unlikely to overwhelm primary effects), or b) lacking in empirical evidence of their existence and magnitude. Globally, we have little reason to worry about backfire. 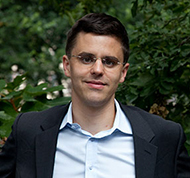 While there is much uncertainty about the size of the so-called “macroeconomic rebound” (how re-equilibration of markets and such hypothesized effects as induced innovation from the energy efficiency improvement may lead to a rebound), we consider a plausible upper bound of the total effect to be in the range of 60 percent (that is, 60 percent of the potential energy savings will be lost to rebound), with most studies pointing to a smaller effect. Regardless of its size, we find that the rebound effect is very likely to be welfare-improving. In fact, in the extreme, energy efficiency improvements that come about from innovations or otherwise have no cost are unequivocally welfare-enhancing. If the improvements come with costs, such as air pollution from more driving or more expensive technology, those need to be weighed against the energy savings, emissions savings, and welfare benefits from the policy. This post originally appeared on Resources for the Future. This entry was posted in Energy Efficiency. Bookmark the permalink. Both comments and trackbacks are currently closed.